The Sapphire NITRO+ AMD Radeon RX 470 8GB is considered the best card of the new Radeon RX 470’s series. It features 8GB of inner memory that can be overclocked to up to 2100 MHz. That’s way faster than its 4GB non-nitro counterpart. In fact, the mentioned difference between the 4GB and the 8GB versions often bring confusion to reviewers. Many talk about RX 470’s without specifying whether those are Sapphire or not, and that’s a big mistake. Yeah, when mining GPU intensive coins such as SIA, the hashrate is not really affected by the memory capacity of the GPU, so in theory the 4GB and 8GB versions should perform the same. Nevertheless, there is a difference because as we’ve mentioned, besides having more capacity, the RX 470 8GB version is also faster than the 4GB one. In this article I’m going to review the Sapphire NITRO+ AMD Radeon RX 470 8GB. There is a split opinion about this card, since it does not perform equally in all the tests. I’ll try to detail that. Also, people often compare it to its oldest brother, the RX 480. I will use the RX 480 as reference as well, this way you might have a clearer picture about what to expect from the RX 470 8GB. The RX 470 8GB comes with a stock frequency of 8 GHz (2000 MHz). It can be overclocked up to 8.2 GHz (2050 MHz) using WattMan. The other alternative, which became the most popular for the RX 470 is the ASUS GPU Tweak II tool, which allows you to reach the 8.4 GHz (2100 MHz) mark. The RX 480 performs the best when working with 2200 – 2250 MHz. That difference is also reflected on the hashrate as well. Nevertheless, it is possible that the full potential of the RX 470 8GB is not fully unlocked yet. Since the card is quite new, we still don’t have the proper drivers. Knowing AMD, we might expect some better drivers in the next 20 days or so. While some users speculate that the clock limit is caused by the quality of the memory chips, we cannot be sure about that until we will have the proper drivers in hand. Another thing you might wan to know is that the RX 470 8GB works faster than the 4GB version, which can hit only the 7 GHz or 1750 MHz mark when overclocked. 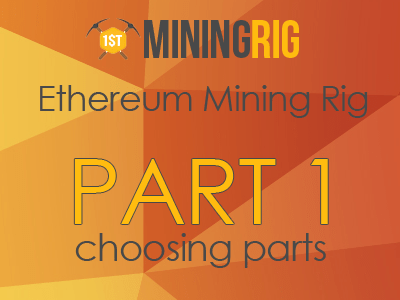 Notes on tweaking mining rigs: Ideally, you’d like to tweak every card of the rig individually. Even if you’ve got a pack of six RX 470 cards, you’d like to use a “personal approach” to each of them. That’s a lot of work, I know, yet keep in mind that some cards might go to 2120 MHz, while others might not even hit 2080 MHz. The idea here is to push each of the cards to their respective limits and find that sweet spot where each of them performs the best without crashing or throttling. Therefore, what I’ve listed here are the averages and should be used only for informative purposes. It’s also important to adjust the voltage AND fan speed along with the frequency. That’s quite a disclaimer, I know, but many people fall into the trap of using the same frequency settings for the whole rig. As a result, they get worse rig performance than listed here. The RX 470 8GB operates with slightly higher voltages than the RX 480. That makes it quite more demanding when it comes to power consumption. On the other hand, the higher operating voltages might suggest that the card is designed to be heavily overclocked. That’s another reason why I believe that the actual card clock limit is caused by drivers, rather than by the card hardware. Back to power consumption, the 470 8GB pulls about 160 W from the wall, when working with a hashrate of 25,6 Mh/s and 1539 Mh Sia, in a rig of six cards. Having the same rig size filled with RV 480’s, some users report a power consumption of 800 W (133 W per GPU), running on Windows 10 and using Wattman to achieve a 27 Mh/s hashrate. Notice that the RX 480 can achieve a hashrate of 28 Mh/s when overclocked to 9 GHz. In that case, obviously, the power consumption rises as well. Now, according to some credible sources, the RX 470 8GB can be underclocked without notable performance losses. That might be useful for memory-dependant algorithms, such as Ethereum mining. Underclocking allows you to drop power consumption down to 130 W and decrease fan rotation speed (which means less fan noise and wear). As for now, looks like Claymore is giving the most accurate Hashrate metrics. It is also the most used testing technique as well. Therefore, the numbers you’ll find on the internet are more likely been made using Claymore. The RX 470 8GB has a 24.5 Mh/s average with factory memory clock (2000 MHz). It can be overclocked up to 8100 MHz when using the Asus Tweak II tool. In that case, the card achieves a hashrate of 25.5 Mh/s. As for now, that’s the most you can get from it. The RX 480 has the same 24.5 Mh/s average when used with the factory clock. Now, the card really excels when overclocked, achieving a hashrate of 27.9 Mh/s. Same as the RX 480, the RX 470 8GB does not work with all of the modern mining algorithms. Looks like that’s a common issue all new Radeon cards share, so don’t expect the RX 470 to be an exception. The three most popular algorithms that show zero hashrate are Neoscrypt, Blake256r14 and WhirlpoolX. The card can mine SiaCoin via the sgminer. In the tests, Stratum was used on the Siamining pool, and the average hashrate was 906 Mh/s. As for now, the RX 470 8GB is mostly used to mine Ethereum (ETH). It might be slower than the RX 480 and require slightly more power, but there’s hope yet. Having in mind the higher GPU voltage, we can speculate that the future hotfixes and driver updates might allow us to overclock it way more than we can now. It comes with an 8-pin PCI-E power connector. It has two additional ground pins, compared to the 6-pin connector. This might have a positive impact on the card performance. It features improved cooling. The RX 480 needs an 80% fan speed or more in order to mine properly, while the RX 470 8GB is often useable when having the fan at only 30%-40%. The 470 8GB also features a 1260 MHz boost clock of the GPU. That’s quite low, compared to the 1340 MHz boost you can get on the RX 480. However, the difference isn’t so bad, considering that the RX 480 has temperature issues when its GPU hits the maximum frequency mark. It’s up to you to choose the winner. The prices are quite the same, at least for now. The RX 480 is older and thus better known that the RX 470. Now, you might opt for the RX 470 8GB if you want less cooling issues. Also, due to its newness, it’s still unclear how good it might become once AMD releases some good drivers for it. It might become as fast as the RX 480, or it might not. BEST PRICE (WITH DISCOUNT) ON AMAZON BASED ON YOUR LOCATION! AMD GPU Shortage Solved by New Nvidia GPUs for Mining?